Mazda’s mission to save the internal combustion engine continues on by giving its game-changing HCCI engine, Skyactiv-X, the body it deserves. Making its formal debut at the 45th Tokyo Motor Show 2017, the KAI CONCEPT is a production concept that gives everyone the first glimpse of the all-new Mazda3. 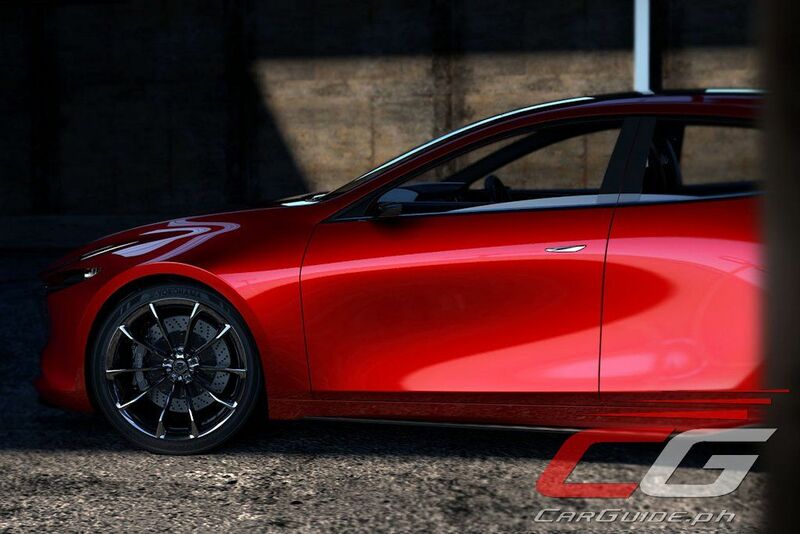 With a name that means “pioneer”, the KAI CONCEPT uses Mazda’s Skyactiv-X engine. 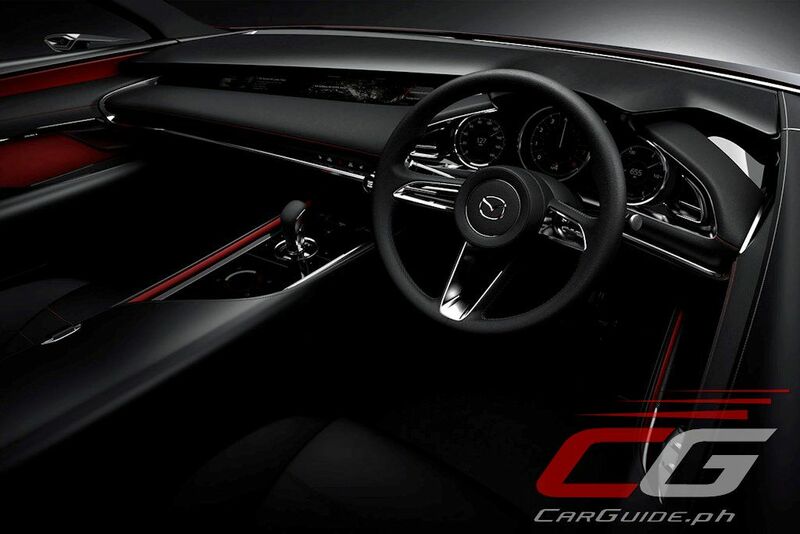 It is also underpinned by a brand-new vehicle architecture called Skyactiv-Vehicle Architecture. This new platform is developed keeping in mind a human-centric design philosophy that maximizes the human body’s inherent ability to balance itself. With the human body easily able to balance itself in response to driving inputs, this new vehicle architecture provides a more responsive driving feel resulting in the ultimate “Jinba-ittai” driving feel. The platform has been optimized including re-designed seats that keep the pelvis upright to maintain the spine’s natural S-curve. It uses multi-directional ring structures to transmit inputs without delay and a chassis structure that interacts with each part to smoothly control energy transfer. 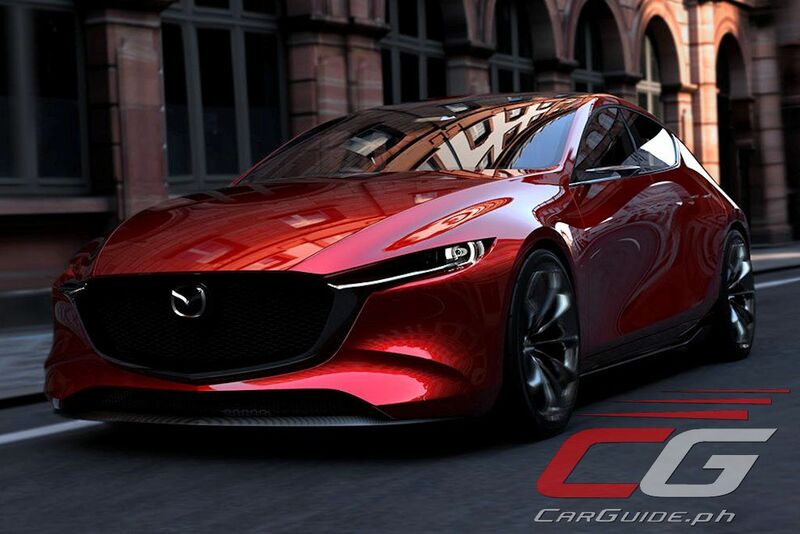 The KAI CONCEPT is a showcase of Mazda’s technology, engineering, and design for the immediate future. 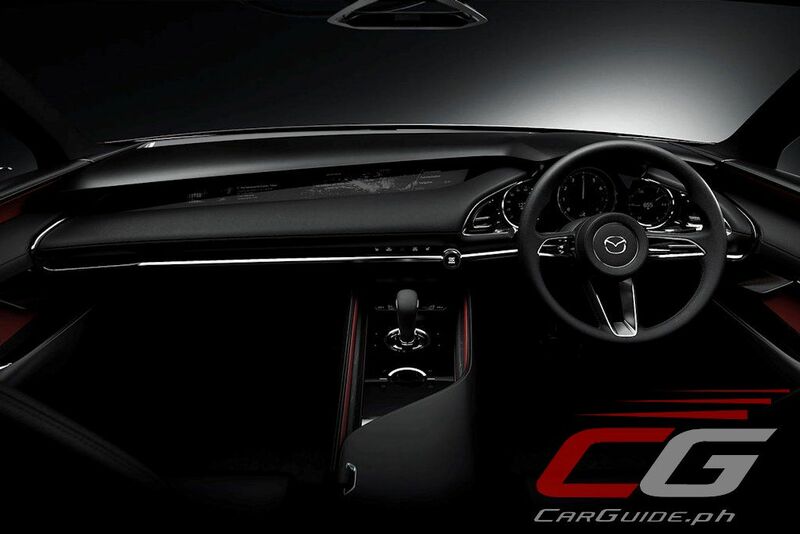 It is an evolution of Mazda’s KODO – Soul of Motion philosophy featuring muscular and solid proportions as well as a play of surfaces and reflection on the body sides. 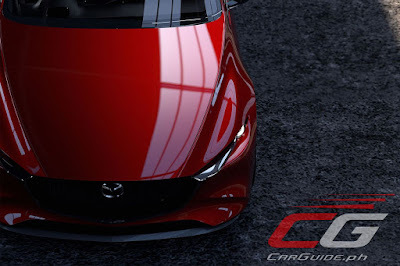 The lack of character lines on the sides was a challenge that Mazda overcame resulting in a car that looks like it’s made from one solid mass.It’s also said to offer refinement in various areas such as dynamic performance, NVH, and comfort. 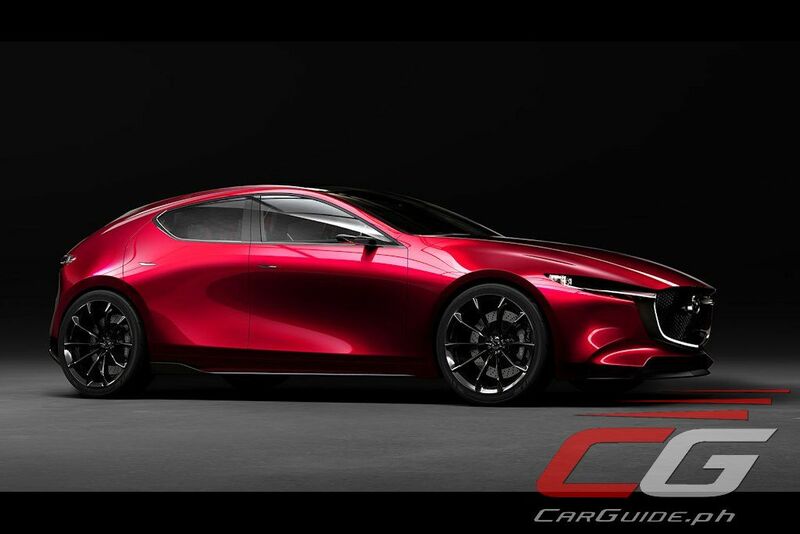 Really, hands down to Mazda for their innovation in engine and design. Seeing this and their Vision Coupe Concept, just wow. That's a jaw dropping design. But then again, it looks cramped. The problem of space again? For those of the likes of you may magandang alternative, cheap parang ikaw, bagay na bagay sayo: Mitsubishi L300. Kahit pagkasyahin mo buong pamilya mo maluwang parin. ^ Spoken like a real cheapskate with a filthy mouth. 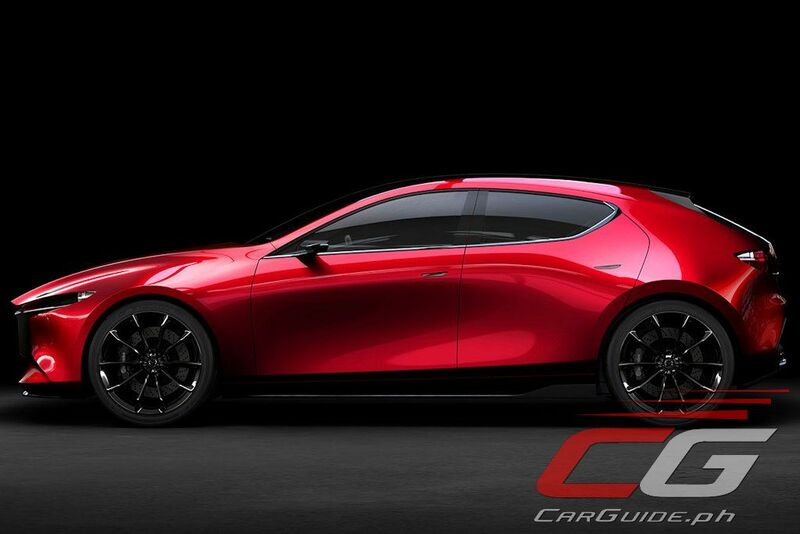 This concept is the rumored next gen Mazda 3. Mazda 3 is a daily car thus the need for some sort of versatility. 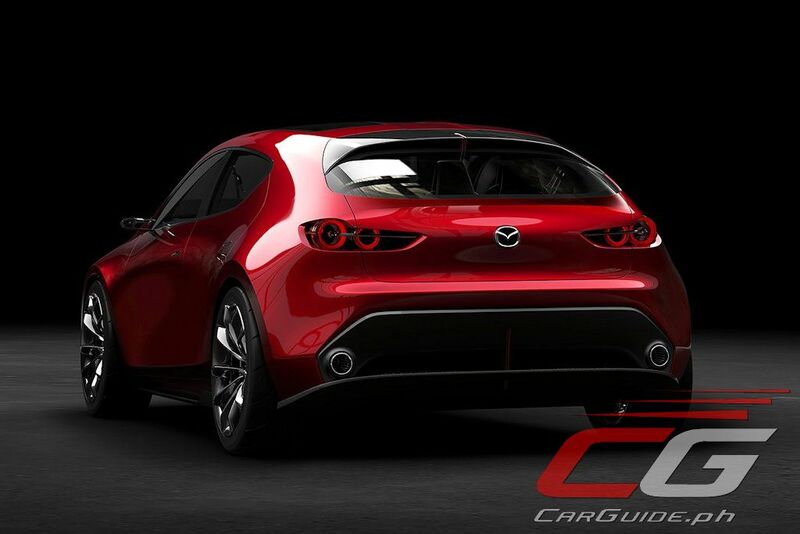 The least Mazda could've done is to improve its weak point in general in order to achieve better sales numbers. The problem with Mazda Honda ang Subaru is that they good for the eyes only. They wont last long. Hindi matibay. Sa madaling salita, hindi pang matagalan ! So what you're saying is that we should buy supposedly durable vehicles like the 200hp/500Nm Chevy Colorado right? You hardly see 10 yr old Chevy's on the road while Honda, Subaru and Mazda are proven to be durable enough. Bago pa lang naman sa market ang Chevy dito. Tingnan mo mga pickup sa US Chevy yan matibay kahit ilang daang libo na ang kilometrahe. Mas better tingnan mo Consumer Reports most reliable car brands kesa ganyang basehan sa dami ng lumang sasakyan sa kalye. Sa U.S. yun, nandito tayo sa Pilipinas. Karamihan ng sasakyan dito sa atin overpriced at underspec'd. Meron din ibang hindi kagandahan ang build quality kesa sa US market. Questionable ang reliability ng Hyundai at Kia "dito sa Pilipinas". Malayo ang difference ng build quality, price at specs ng US version kesa sa PH version kaya hindi mo sila pwedeng gawing sole basis ang Consumer Reports.